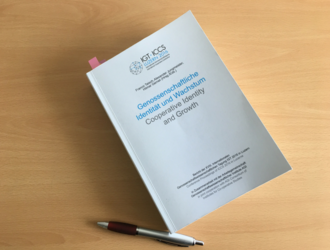 This book includes the current scientific discussion of the International Co-operative Conference in Luzern IGT/ICCS2016. The outline of these proceedings has been constructed along the main themes of identity and growth, being mindful of the fact that these two issues are not always clearly distinguishable between each other and are often interconnected. Within the main themes we separated basic articles that have cross-industry research reach and studies specific to an industry. These sectorial studies have been sorted along the largest cooperative industry groups, supplemented by growth sectors such as the energy sector. The cross-industry studies have been broken down into ‘Fundamentals’, ‘Legal’ and ‘Politics, Social, Policies’. In acknowledgement of the limitations of this system, individual contributions are often linked to different themes and allow them to be classified into different categories. We have done this with the aim of providing an overview of the conference and a quick start into each topic. A detailed index, which identifies certain terms used across the contributions and a reference list of the authors, along with a short biography, complete the volume. The articles dedicated to the "Financial Industry" start on p.333 until 373. To find the entire book, please click HERE.